How the first drinking straw was made. How the bendable straw came to be. How they went from paper to plastic. Modern straw designs and uses. How we’ve gone back to paper straws and why. The Atlantic: The Amazing History and the Strange Invention of the Bendy Straw – The story of the how the bendable straw was invented. Smithsonian: Inventions – The Straight Truth About the Flexible Drinking Straw – How the first flexible drinking straw was invented. 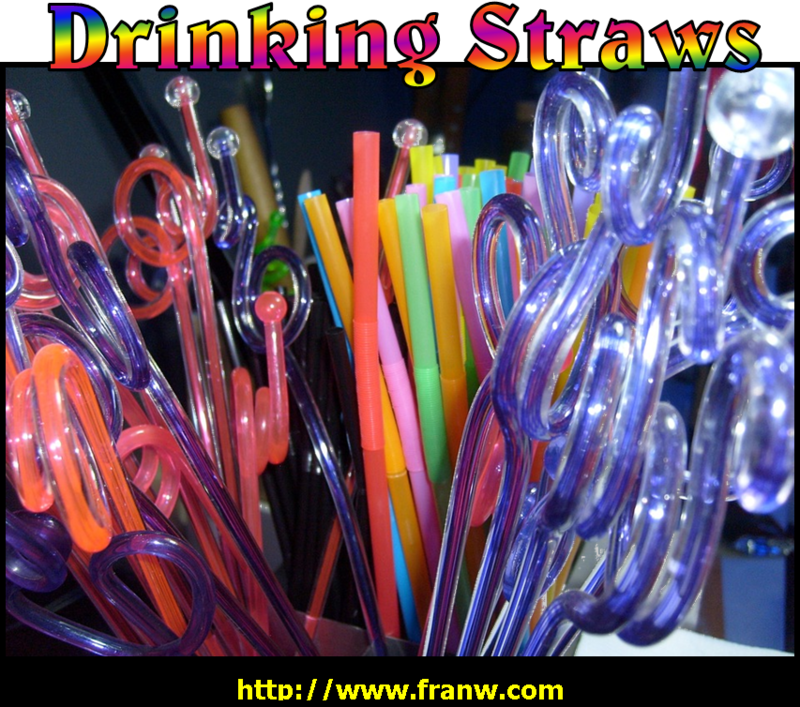 Wikipedia: Drinking Straw – History of drinking straws and their modern uses. Also types of straws. Howstuffworks: How are Bendy Straws Made? – The first page talks about what straws have been made up of, click on the word “NEXT” under the video and the second page will tell you what straws are made of now and how they are made. The third section is an author’s note. The Inventors.org: Drinking Straws – This short article starts with the history of the drinking straw and ends with other things spiral wound tubing lead to. NASA: Rockets – Rocket Pinwheel – This cool experiment requires a straw, balloon, pencil, a sewing pin, and tape to make it. Go to the site for full instructions. Manufacturing.net: Va Plant Produces 4B Drinking Straws Annually – Information about a plant that makes more then 4 billion straws a year. Seattle Time: The last straw? Seattle will say goodbye to plastic straws, utensils with upcoming ban – News article about a new ban. Washington Post: A campaign to eliminate plastic straws is sucking in thousands of converts – News article about a young man on a campaign to eliminate plastic drinking straws. Straw-Free.org – Find out what you can do to help the campaign and go straw-free. Strawless Ocean.org – Find out who’s going straw free and what you can do to help. Engineering.com: Engineers Develop Edible Straws to Combat Plastic Pollution – New developments in drinking straws that are plastic free. One of the ways to help the straw-free movement is to reuse the plastic straws that you do have in positive ways such as in art projects, science experiments and math activities. Below, you will find videos that show you fun ways to reuse plastic straws. Once you are done with them, clean them out well, and get creative! Straws can be cut down and melted, and used in some cool ways, as you’ll see in the selected videos. If you like to use straws, purchase reusable straws in stores and online. Once your plastic straws are gone, make straws from other materials, as show in the videos below. HowStuffWorks: Stuff of Genius: Joseph Friedman: The Flexible Straw – This 1:27 minute video tells you about the inventor of the bendy straw. YouTube: Drinking Straw Playlist – This playlist includes information about the history of drinking straws, and fun activities you can do with them such as science experiments, art projects, and math activities. Some videos will require adult supervision to use a lighter, hot glue gun, or cutting tool.